The terms CNA and STNA are the synonyms for nurse aides. Often, students get confused, and consider certified nursing assistant (CNA) and state tested nurse aide (STNA) as separate professions. In fact, both the careers are similar. The word STNA is used for nurse aides, in the state of Ohio. Both the professionals do not require any higher education to pursue their work. GED or high school diploma is enough. CNAs have to undergo a training of at least that many hours as mandated by the state. These programs should be recognized by the Department of Health of the concerned state. The topics included in theoretical classes are CPR, first aid, nutrition, infection control, body mechanics, etc. The practical classes teach about how to take vital statistics, administration of medicine, moving and feeding the patients, etc. The STNAs also have to undergo the similar type of training and the same topics are covered in the curriculum. 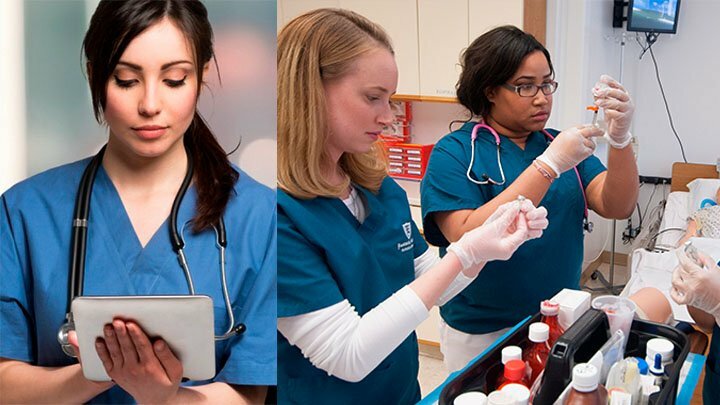 You will get a nursing assistant or state tested nurse aide certification, only if you qualify the certification exam conducted by the respective state. Measuring and recording the vital parameters of the patient. Meeting the physical and emotional needs of the patient. Taking care of sanitation and hygiene. Monitoring the condition of the patient and reporting the same to the doctor or the supervisor nurse. Assisting the clients in bathing, feeding and dressing. Transferring and lifting the sufferers. Measuring liquid and food intake and output. State tested nurse aides and certified nurse aides work in the similar environment and settings. They may find a job in patient’s home, rehabilitation centers, hospitals, residential care facilities, clinics, day care centers, assisted living facilities, etc. Many times, they have to work for long hours. Both these professionals have a hectic and busy working schedule. The mean annual salary of STNAs is $23,000. CNAs can earn an average income up to $25,000 yearly. Experience, geographic location, educational qualification and the state decides the salary of these professionals. They can obtain additional benefits, like paid leaves, good overtime, medical insurance and retirement benefits.